Exciting garden selection of a small, frost-hardy agave. Rosettes are compact, tidy and four-coloured (quadri-color). They can eventually attain 50 cm but potted plants stay small for years and are about 10-20 cm wide. Leaves are characteristically variegated in sharply defined bands of four colours: dark green, pale green, yellow and brown-red. 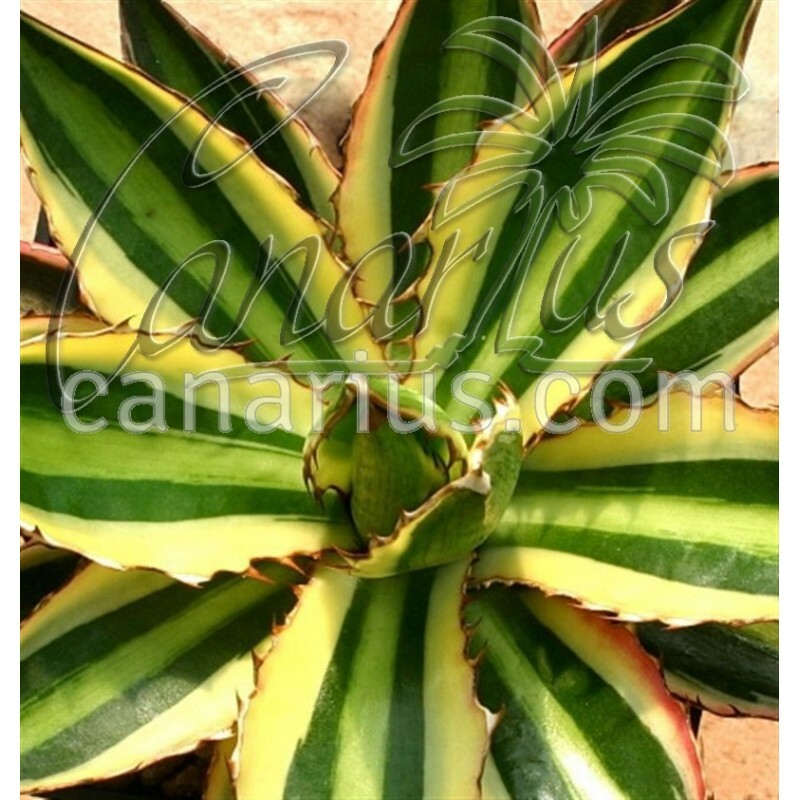 Agave lophantha cv. quadricolor will grow fast in hot summer weather it likes regular watering and some light shade. It grows easily with good drainage. This variegated cultivar will survive - 5 C (23 F) and even less if kept dry. To keep variegation, the only way to propagate it is through suckers. The size of this plant is: 25 cm.